While a lot of attention is being paid to the Republican side of the U.S. Senate race, several Democrats are quietly working to get their side of the aisle in line. Many have said that U.S. 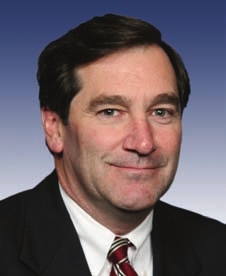 Congressman Joe Donnelly would be an ideal candidate for Governor but we are hearing he is taking a long look at the U.S. Senate seat. We cannot say we blame him. This seat could be competitive for the first time in a few decades and the Republican Party Primary is likely going to leave the eventual nominee in a precarious financial condition. Besides, who would want to match up against Mike Pence for Governor at this point. We’ve also heard that Dr. Woody Myers may be planning to throw his hat in the ring as well. Myers has served as Indiana Health Commissioner and has run for office in Indianapolis several times including a losing bid in Democratic primary prior to the special election to fill Congressman Julia Carson’s 7th District seat.